(a) To provide for a covert support base to meat clandestine operational requirements. (b) To stockpile severely incapacitating and lethal materials for the specific use of TSD [Technical Services Division]. (c) To maintain in operational readiness special and unique items for the dissemination of biological and chemical materials. (d) To provide for 'the required surveillance, testing, upgrading, and evaluation of materials and items in order to assure absence of defects and complete predictability of results to be expected under operational conditions. Under an agreement reached with the Army in 1952, the Special Operations Division (SOD) at Fort Detrick was to assist CIA in developing, testing, and maintaining biological agents and delivery systems. By this agreement, CIA acquired the knowledge, skill, and facilities of the Army to develop biological weapons suited for CIA use. SOD developed darts coated with biological agents and pills containing several different biological agents which could remain potent for weeks or months. 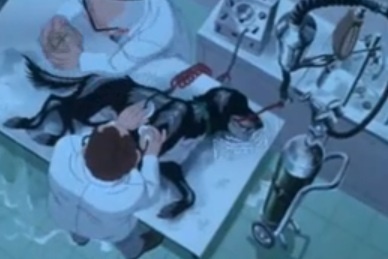 SOD also developed a special gun for firing darts coated with a chemical which could allow CIA agents to incapacitate a guard dog, enter an installation secretly, and return the dog to consciousness when leaving. SOD scientists were unable to develop a similar incapacitant for humans. SOD also physically transferred to CIA personnel biological agents in "bulk" form, and delivery devices, including some containing biological agents. In addition to the CIA's interest in biological weapons for use against humans, it also asked SOD to study use of biological agents against crops and animals. In its 1967 memorandum, the CIA stated: Three methods and systems for carrying out a covert attack against crops and causing severe crop loss have been developed and evaluated under field conditions. This was accomplished in anticipation of a requirement which was later developed but was subsequently scrubbed just prior to putting into action. MKNAOMI was terminated in 1970. On November 25, 1969, President Nixon renounced the use of any form of biological weapons that kill or incapacitate and ordered the disposal of existing stocks of bacteriological weapons. On February 14, 1970, the President clarified the extent of his earlier order and indicated that toxins-chemicals that are not living organisms but are produced by living organisms-were considered biological weapons subject to his previous directive and were to be destroyed. Although instructed to relinquish control of material held for the CIA by SOD, a CIA scientist acquired approximately 11 grams of shellfish toxin from SOD personnel at Fort Detrick which were stored in a little-used CIA laboratory where it went undetected for five years (94TH CONGRESS, 2d Session SENATE REPORT No. 94-755). 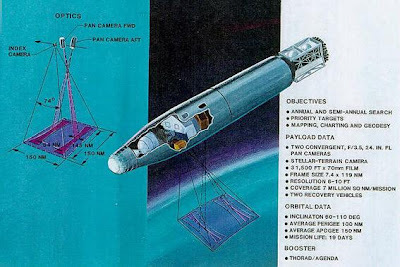 suicide capsule - "...In the old Senate caucus room the ten members of the select Senate committee were questioning CIA officials, including Director William Colby and the deputy director for science and technology, Sayre Stevens, about 11 gm. of shellfish toxin and 8 mg. of cobra venom discovered last May in a CIA storeroom (TIME, Sept. 22). No one could claim that the existence of the poisons as such was all that momentous, but the committee wanted to know why the lethal substances had been preserved. Besides, they made fascinating listening. To dramatize the Senators' concern, Committee Member Walter Mondale at one point displayed a photograph of two containers of the toxin...By way of background, Colby revealed that the agency in 1952 began a supersecret research program, code-named M.K. Naomi, partly to find countermeasures to chemical and biological weapons that might be used by the Russian KGB. Former CIA Director Richard Helms reported that a KGB agent used poison darts and poison spray to assassinate two Ukrainian liberation leaders in West Germany. The CIA also wanted to find a substitute for the cyanide L-pill, the suicide capsule used in World War II. Cyanide takes up to 15 minutes to work and causes an agonizingly painful death by asphyxiation. Said Colby: "Agents didn't want to face that kind of fate." Working at the U.S. Army's laboratory at Fort Detrick, Md., researchers came up with the shellfish toxin. After receiving the toxin orally or by pinprick, a victim first feels a tingling sensation in the fingers and lips, then dies within ten seconds of painless paralysis. Indeed, according to Colby, U-2 Pilot Francis Gary Powers carried the toxin—contained in the grooves of a tiny drill bit that was concealed in a silver dollar —when he was shot down over Russia in 1960, but chose not to use it..." (INTELLIGENCE: Of Dart Guns and Poisons). 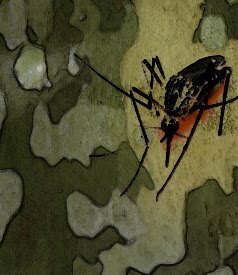 covert biological war - "Why is it that the U.S. state apparatus is standing in the way of any serious medical investigation into Mogellons disease? For the simple reason that it would inexorably lead to the covert biological war programmes of the 1950’s. 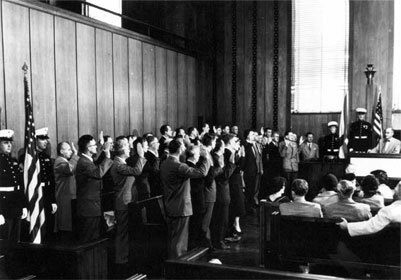 Hank Albarelli lifts the veil on a period - which may not necessarily be over - when the military-industrial complex proclaimed to safeguard the "free world" while testing new experiments on the civilian population that it purported to protect; a period when members of the medical profession - including the CDC - developed diseases that they should have been preventing but which they used instead to contaminate the very people they were supposed to protect (Morgellons and the CIA’s MK/NAOMI Project (Part 2)). MKNAOMI was the code name for a joint Department of Defense/CIA research program lasting from the 1950s through the 1970s. Unclassified information about the MKNAOMI program and the related Special Operations Division is scarce. It is generally reported to be a successor to the MKDELTA project and to have focused on biological projects including biological warfare agents—specifically, to store materials that could either incapacitate or kill a test subject and to develop devices for the diffusion of such materials. During the first twenty years of its establishment, the CIA engaged in various projects designed to increase U.S. biological and chemical warfare capabilities. Project MKNAOMI was initiated to provide the CIA with a covert support base to meet its top-secret operational requirements. The purpose was to establish a robust arsenal within the CIA's Technical Services Division (TSD) and of which was to consist of various lethal and incapacitating materials. This would enable the TSD to serve as a highly maintained center for the circulation of biological and chemical materials. Surveillance, testing, upgrading, and the evaluation of special materials and items were also provided by MKNAOMI so as to ensure that no defects and unwanted contingencies emerged during operational conditions. For these purposes the U.S. Army's Special Operations Command (SOC) was assigned to assist the CIA in the development, testing, and maintenance procedures for the biological agents and delivery systems (1952). Both the CIA and SOC also modified guns that fired special darts coated with biological agents and various poisonous pills. The darts would serve to incapacitate guard dogs, infiltrate the area that the dogs were guarding, and then awaken the dogs upon exiting the facility. In addition, the SOC was also designated to research the potentials for using biological agents against other animals and crops. A 1967 CIA memo which was uncovered by the Church Committee was confirmed to give evidence of at least three covert techniques for attacking and poisoning crops that have been examined under field conditions. On November 25, 1969, President Richard Nixon abolished any military practice involving biological weapons and Project MKNAOMI was dissolved. On February 14, 1970, a presidential order was given to outlaw all stockpiles of bacteriological weapons and nonliving toxins. However, despite this presidential order, a CIA scientist was able to acquire an estimated 11 grams of deadly shellfish toxin from SOC personnel at Fort Detrick. The toxin was then stored in a CIA laboratory where it remained undetected for over five years (Wikepedia). (a) Research in the manipulation of human behavior is considered by many authorities in medicine and related fields to be professionally unethical, therefore the reputation of professional participants in the MKULTRA program are on occasion in jeopardy. (b) Some MKULTRA activities raise questions of legality implicit in the original charter. 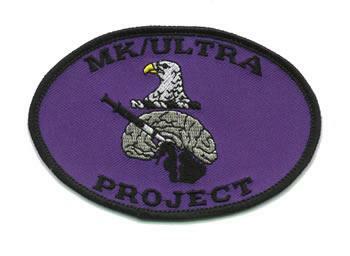 (c) A final phase of the testing of MKULTRA products places the rights and interests of U.S. citizens in jeopardy. (d) Public disclosure of some aspects of MKULTRA activity could induce serious adverse reaction in U.S. public opinion, as well as stimulate offensive and defensive action in this field on the part of foreign intelligence services. Over the ten-year life of the program, many "additional avenues to the control of human behavior" were designated as appropriate for investigation under the MKULTRA charter. 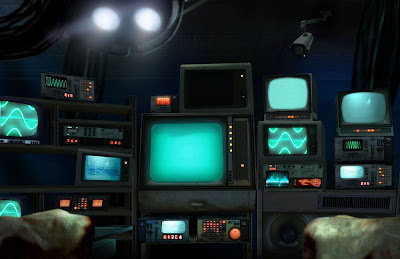 These include radiation electroshock, various fields of psychology, psychiatry, sociology, and anthropology, graphology, harassment substances, and paramilitary devices and materials." The research and development of materials to be used for altering human behavior consisted of three phases: first, the search for materials suitable for study; second, laboratory testing on voluntary human subjects in various types of institutions; third, the application of MKULTRA materials in normal life settings. The search for suitable materials was conducted though standing arrangements with specialists in universities, pharmaceutical houses, hospitals, state and federal institutions, and private research organizations. The annual grants of funds to these specialists were made under ostensible research foundation auspices, thereby concealing the CIA's interest from the specialist's institution. The next phase of the MKULTRA program involved physicians, toxicologists, and other specialists in mental, narcotics, and general hospitals, and in prisons. Utilizing the products and findings of the basic research phase, they conducted intensive tests on human subjects. One of the first studies was conducted by the National Institute of Mental Health. This study was intended to test various drugs, including hallucinogenics, at the NIMH Addiction Research Center in Lexington, Kentucky. The "Lexington Rehabilitation Center " as it was then called, was a prison for drug addicts serving sentences for drug violations. The test subjects were volunteer prisoners who, after taking a brief physical examination and signing a general consent form, were administered hallucinogenic drugs. As a reward far participation in the program, the addicts were provided with the drugs of their addiction. LSD was one of the materials tested in the MKULTRA program. without knowledge - "...Perhaps most disturbing of all was the fact that the extent of experimentation on human subjects was unknown. The records of all these activities were destroyed in January 1973, at the instruction of then CIA Director Richard Helms. In spite of persistent inquiries by both the Health Subcommittee and the Intelligence Committee, no additional records or information were forthcoming. And no one -- no single individual -- could be found who remembered the details, not the Director of the CIA, who ordered the documents destroyed, not the official responsible for the program, nor any of his associates. We believed that the record, incomplete as it was, was as complete as it was going to be. Then one individual, through a Freedom of Information request, accomplished what two U.S. Senate committees could not. He spurred the agency into finding additional records pertaining to the CIA's program of experimentation with human subjects...Eighty-six universities or institutions were involved. New instances of unethical behavior were revealed. The intelligence community of this Nation, which requires a shroud of secrecy in order to operate, has a very sacred trust from the American people. 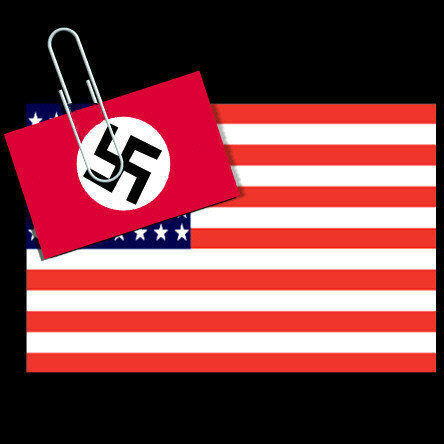 The CIA's program of human experimentation of the fifties and sixties violated that trust. It was violated again on the day the bulk of the agency's records were destroyed in 1973. It is violated each time a responsible official refuses to recollect the details of the program. The best safeguard against abuses in the future is a complete public accounting of the abuses of the past...The Central Intelligence Agency drugged American citizens without their knowledge or consent. It used university facilities and personnel without their knowledge. It funded leading researchers, often without their knowledge. These institutes, these individuals, have a right to know who they are and how and when they were used. As of today, the Agency itself refuses to declassify the names of those institutions and individuals, quite appropriately, I might say, with regard to the individuals under the Privacy Act. It seems to me to be a fundamental responsibility to notify those individuals or institutions, rather. I think many of them were caught up in an unwitting manner to do research for the Agency. Many researchers, distinguished researchers, some of our most outstanding members of our scientific community, involved in this network, now really do not know whether they were involved or not, and it seems to me that the whole health and climate in terms of our university and our scientific and health facilities are entitled to that response. So, I intend to do all I can to persuade the Agency to, at the very least, officially inform those institutions and individuals involved..." - Senator Kennedy (Opening Remarks by Senator Ted Kennedy). MKSEARCH - Headed by Sidney Gottlieb, the MKULTRA project was started on the order of CIA director Allen Dulles on April 13, 1953, largely in response to alleged Soviet, Chinese, and North Korean use of mind-control techniques on U.S. prisoners of war in Korea. The CIA wanted to use similar methods on their own captives. The CIA was also interested in being able to manipulate foreign leaders with such techniques, and would later invent several schemes to drug Fidel Castro. Experiments were often conducted without the subjects' knowledge or consent. In some cases, academic researchers being funded through grants from CIA front organizations were unaware that their work was being used for these purposes. In 1964, the project was renamed MKSEARCH. The project attempted to produce a perfect truth drug for use in interrogating suspected Soviet spies during the Cold War, and generally to explore any other possibilities of mind control. 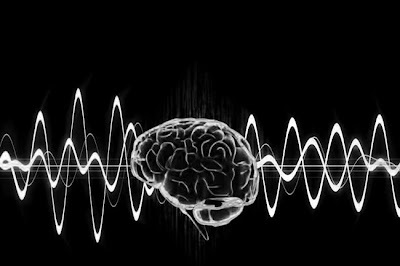 Another MKULTRA effort, Subproject 54, was the Navy's top secret "Perfect Concussion" program, which was supposed to use sub-aural frequency blasts to erase memory, however the program was never carried out. Because most MKULTRA records were deliberately destroyed in 1973 by order of then CIA Director Richard Helms, it has been difficult, if not impossible, for investigators to gain a complete understanding of the more than 150 individually funded research sub-projects sponsored by MKULTRA and related CIA programs (Wikepedia). "...Although most of MKUltra victims also were subjected to radiations and three victims gave their testimonies, Clinton's apology specifically targets the victims of cold-war era radiation experiments, most of which were initiated to study the effects of radiation to human. Clearly, the apology wasn't about the MK Ultra that the disinfo operatives want you to think about. An apology would mean an end to a conflict, an end to MK Ultra..."
Contrary to what was reported in the internet, President Bill Clinton did not apologized for the MK Ultra victims. On October 3, 1995 after he ordered to declassified government documents and initiated an investigation, a final report was offered to the press. During the conference at the White House, Clinton apologized for the human radiation experiments being done to uninformed victims in several military bases and universities. There was a disinformation in the internet connecting MKUltra to the Clinton apologies as to make it look like this mind control program has ended. In fact there are concrete evidences that as of today - 2011, the program has been going on with much more covert and overt activities by different sectors of the community and has become global in scope. Although most of MKUltra victims also were subjected to radiations and three victims gave their testimonies, Clinton's apology specifically targets the victims of cold-war era experiments, most of which are initiated to study the effects of radiation to human. Clearly, the apology wasn't about the MK Ultra that the disinfo operatives want you to think about. An apology would mean an end to a conflict, an end to MK Ultra. Suicides has become an ordinary occurencies in many communities that the people are complacent or desensitized. Its not only the youth and member of LGBT anymore, immigrants and soldiers are also affected. PTSD and other mental disorder with pyshotropic drugs as the common denominator with all the sucide cases. The youth are tested with mental disorder at a very young age, most are diagnosed with ADD and are prescribed with Ritalin. Mobbing at workplace are signs of targeting. If the targets don't acted their torture with violence, the normal outcome are being unemployed and disability. The same can be said in the schools. Bullying is rampant. If student don't acted out with violence, they became dropouts or disabled. Main stream media don't cover this present-day experimentations (radiation, mind control, chem trails, illegal vaccinations, nano-tech implantations) even when the targets sent them evidences and letters asking them to inform the public and the authorities. The mainstream media did not even bother to write about several targets speaking out at the last two public meetings of The Presidential Commission for the Study of Bioethical Issues. Long time ago this will be considered a big scandal. Common tactics of mainstream media is to discredit and disinformed the public as all of these crimes are just conspiracy theories and its just a product of people's delussional or paranoid thinking and basically not happenning all around us. When someone do an internet research on targeted individuals, researcher will notice several disinfo agents posing as victims. The purpose is to make the impression that targeted individuals are simply people who are delussional, paranoid or mentally challenged. You will see these agents wearing tin foils in their head; talking about the new metallic orgonites that targets can use for EMR attacks; and preaching about the incoming armageddon and alien invasion. From the blatant disinformation connecting Clinto's apology to MK Ultra so that people will get the impression that MK ULtra is a thig of the past; the neglect of the mainstream media to cover the targeted individuals coming out activism; and to the noticeable discrediting of targeted individuals by disinfo agents using the internet, are clear indications that MK Ultra has never ended. With new technologies, operatives can predict thoughts and can manipulate behavior of targets. Operatives can used radiations to attacks physiological body functions of the targets making them sick. Operatives can used technologies to tampered electronic appliances even running water to transmit voices and sounds for the harassments making targets looks delussional or schizoprenic. Together with field stalkers, targets are being harassed in anywhere they go, developing isolation and paranoic behavior. All of these criminal activitities has been adopted from MK Ultra mind control program and hundreds of victims around the world has reported similar experiences, as I previously reported (with video evidences). Clearly, Mk Ultra never ended and became an unnamed "program" today that the public must warn and inform. Report Human Radiation Experiments Report Oct 3, 1995 - President Clinton commented on the final report on human radiation experiments conducted by the federal government between 1944 and 1974. The government failed in its duty to tell the truth and protect citizens, he stated. The president promised compensation for the victims of these experiments. He also offered a formal apology to the survivors, their families, and to all American people who must be able to rely upon the United States to keep its word, tell the truth, and do the right thing. As an additional measure, President Clinton signed an executive order instructing every agency of the federal government which conducts, supports, or regulates research involving human beings to immediately review their procedures, and report back by the end of the year. The president also created a Bioethics Advisory Commission to supervise such research. He hopes the commission will ensure that the government never again strays from the basic values of protecting and being truthful with its people (C-Span). Project MKULTRA, or MK-ULTRA, was the code name for a covert, illegal CIA human research program, run by the CIA's Office of Scientific Intelligence. 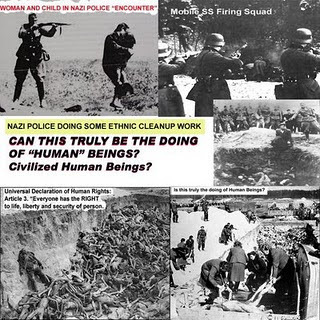 This official U.S. government program began in the early 1950s, continuing at least through the late 1960s, and it used U.S. and Canadian citizens as its test subjects. The published evidence indicates that Project MKULTRA involved the use of many methodologies to manipulate individual mental states and alter brain functions, including the surreptitious administration of drugs and other chemicals, hypnosis, sensory deprivation, isolation, and verbal and sexual abuse. Project MKULTRA was first brought to wide public attention in 1975 by the U.S. Congress, through investigations by the Church Committee, and by a presidential commission known as the Rockefeller Commission. Investigative efforts were hampered by the fact that CIA Director Richard Helms ordered all MKULTRA files destroyed in 1973; the Church Committee and Rockefeller Commission investigations relied on the sworn testimony of direct participants and on the relatively small number of documents that survived Helms' destruction order. In 1977, a FOIA request uncovered a cache of 20,000 documents relating to project MKULTRA, which led to the Senate Hearings of 1977. In recent times most information regarding MKULTRA has been officially declassified. Although the CIA insists that MKULTRA-type experiments have been abandoned, 14-year CIA veteran Victor Marchetti has stated in various interviews that the CIA routinely conducts disinformation campaigns and that CIA mind control research continued. In a 1977 interview, Marchetti specifically called the CIA claim that MKULTRA was abandoned a "cover story." On the Senate floor in 1977, Senator Ted Kennedy said: The Deputy Director of the CIA revealed that over thirty universities and institutions were involved in an "extensive testing and experimentation" program which included covert drug tests on unwitting citizens "at all social levels, high and low, native Americans and foreign." Several of these tests involved the administration of LSD to "unwitting subjects in social situations." At least one death, that of Dr. Olson, resulted from these activities. The Agency itself acknowledged that these tests made little scientific sense. The agents doing the monitoring were not qualified scientific observers (Wikipedia). The Advisory Committee on Human Radiation Experiments was established in 1994 to investigate questions of the record of the United States government with respect to human radiation experiments. The special committee was created by President Bill Clinton in Executive Order 12891, issued January 15, 1994. Ruth Faden of The Johns Hopkins Berman Institute of Bioethics chaired the committee. Jonathan D. Moreno was a senior staff member of the committee. He later wrote the 1999 book Undue Risk: Secret State Experiments on Humans. The thousand-page final report of the Committee was released in October 1995 at a White House ceremony (Wikipedia). Victor Marchetti (born 1930) is a former special assistant to the Deputy Director of the Central Intelligence Agency and a prominent paleoconservative critic of the United States Intelligence Community and the Israel lobby in the United States. While serving as an active-duty American soldier, Marchetti was recruited into the intelligence agencies in 1952 during the Cold War to engage in espionage against East Germany. Marchetti joined the Central Intelligence Agency in 1955, working as a specialist on the USSR. He was a leading CIA expert on Third World aid, with a focus on USSR military supplies to Cuba after the end of the Kennedy administration. In 1966 Marchetti was promoted to the office of special assistant to the Chief of Planning, Programming, and Budgeting, and a special assistant to CIA Director Richard Helms. 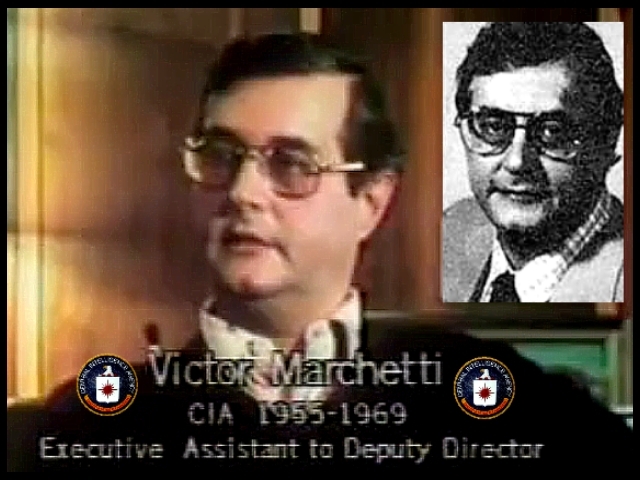 Within three years Marchetti became disillusioned with the policies and practices of the CIA, and resigned in 1969, writing an exposé of the CIA in a book published in 1971 entitled The Rope Dancer. Later Marchetti published books critical of the CIA with author John D. Marks. 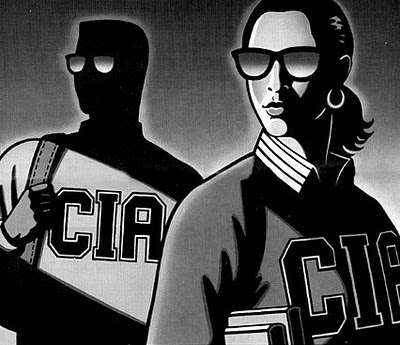 The books included, The CIA and the Cult of Intelligence (1973). Before this book was published, the CIA demanded that Marchetti remove 399 passages, but Marchetti stood firm and only 168 passages were censored. It is the first book the federal government of the United States ever went to court to censor before its publication (Wikepedia).